Moving from one place to another is one of the most complicated and exhausting tasks to pull off for almost everyone. This becomes especially more difficult when you reside in places like Los Angeles, where life is busy with too much to handle in too little time. Other than time money and budget is a constraint too due to high costs of living. That is why most people live in rented homes, which also means that they have to move places very often. The process of moving from one place to another is not easy. Other than the physical stress and the mental exhaustion, it also tends to take an emotional toll since it is not easy to let go of a place where you have lived for quite some time. In such circumstances, managing the moving process effectively can be challenging for anyone. The hurdles and hassles that are involved in moving from one place to another cannot be undermined. However, they can certainly be minimized significantly if some of the most common mistakes that people tend to make while moving places. Moving houses, especially in a place like Los Angeles can be expensive. Of course, most people would want to cut down on the costs of moving. As a result, they are tempted to plan and execute the whole moving process without any third party assistance, despite the availability of movers in Los Angeles. This is because moving companies charge a bit of a price for their services and people believe they can save money by doing it themselves. 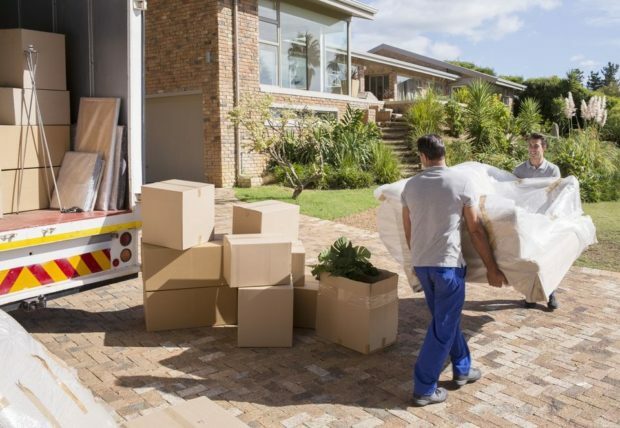 Interestingly, what people ignore is that the moving process often requires particular expertise, skills and at times also equipment and logistical support that you might not be able to get from friends and family. For example, you might not be familiar with moving heavy pieces of furniture through small doorways. Other than that, most moving companies will provide you with insurance coverage. This insurance covers any loss of property or belongings during the moving process. If you plan the move on your own, then the burden of injury will also lie on you. Whether you hire a mover or not, do not do anything in a rush. Even if you are hiring a moving company, plan your move months earlier so that you have enough time to research your options and you can ensure that you have employed the right team. Plan in advance so that you do not have to take any last minute decisions. Even when you are finally executing your move with the help of movers, pack and label your belongings beforehand so that the labor does not have to wait or do it for you. This will save your time and money. With all your things packed in boxes, it will undoubtedly take a lot of time to open them and reorganize things, before you can get on with your routine life. However, on your move-in day, you and your kids will need to change clothes, have their bottles and formula, and you will need to shave for work. Do not forget to pack a separate box or bag that has all the necessary inventory that you will need to keep yourself going smoothly at least for the first 24 hours. Keep some extra cash handy too.